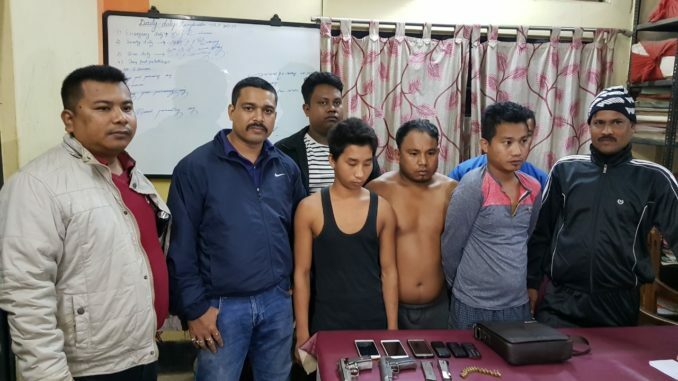 Police on Friday night arrested three Naga rebels in Silchar. The arrested rebels have been identified as Samgeiloong, Keirijin and Thuijinang of Manipur. Two pistols and a huge cache of ammunition were found on them. The trio is under interrogation at Silchar police station.